Greetings everyone. Blessings to all of you and your family. There are only a few days left for you to purchase tickets for our Passover event next weekend. Ticket sales will conclude on Monday, April 15 at 11 PM so, if you’ve considered it but haven’t gotten around to obtaining your ticket, time is running out. Tickets must be purchased in order to attend and are available at www.billcloud.com. We will meet at the Athens Regional Convention Center in Athens TN on Friday, April 19th. We will begin at 6:00 PM on Erev Shabbat with praise and worship, led by Brandon and Melody followed by the seder and a catered meal. We’ll open the doors around 5:30 PM to begin check in so that we can begin the Seder no later than 6:30. Dinner will be served at approximately 7:45. This Saturday, April 13, I’ll be speaking at Freedom Baptist Church in Amarillo, TX starting at 4 PM. On Sunday afternoon, April 14, I’ll be speaking at Church of the Nations in Lubbock TX starting at 2 PM and then in San Angelo, TX on Monday night, April 15, at 7 PM. Considering we have started up our fellowship in Cleveland, I’m not sure when I’ll be able to get back out to this area in the near future so I hope to see many of our friends in West Texas this weekend and on Monday. All the details are at https://billcloud.com/itinerary/. 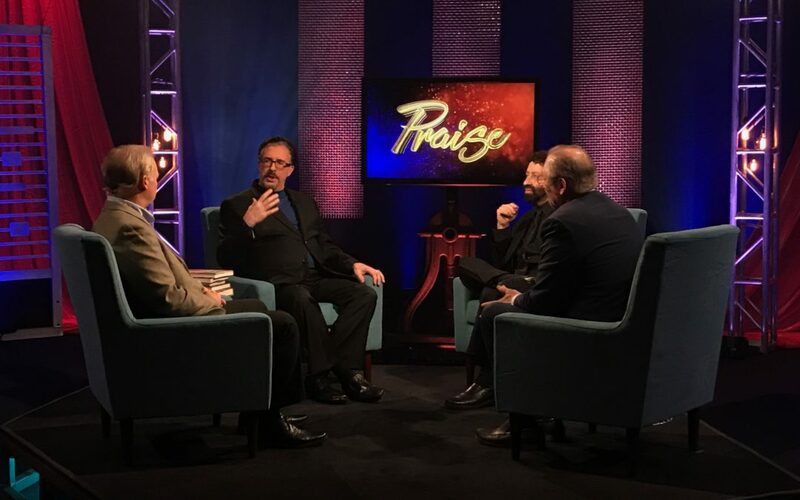 The following Monday, April 22, TBN will air a special Praise program featuring Perry Stone, Jonathan Cahn, Mark Biltz and yours truly. The four of us sat down to talk about what’s going on in the world in the last days. I had a great time spending a few minutes with the gentlemen and I think you’ll enjoy the program. It airs on April 22 at 8 PM so make sure tune in. In the next few weeks we will be posting brand new video teachings on our website. The first one, “Messianic Birth Pains,” will be the first to go online, hopefully very soon, with others to follow throughout the month of April and May. If you are a Premium Partner, be looking for these soon. If you’re not a Premium Partner, please consider becoming one today – this is the most efficient and immediate way to help us fund the ministry. If that is not in your budget, you can sign up for a Gleaning Corner subscription which costs you nothing while giving you access to hundreds of hours of teaching. Go to www.billcloud.com and sign up today. Bill, today you will be in Amarillo, Texas and I wanted to come so bad, but when you don’t drive out of town then you have to be relying on someone else to take you, and so far I don’t have that someone. But you are in my thoughts and my prayers. Sorry I’ll miss you. Thank you for your prayers and support. We love you. Bill, l was wondering if you would be planning a Feast of Tabernacle event in the Fall. Blessings to you and your family. Debra. We don’t know what we’re going to do in that regard just yet. That makes me sad! Had I been with Bill this trip, I would have come and gotten you!